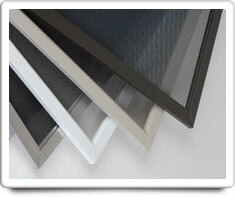 Window Screens helps keep insects out while allowing cool breezes to come in through open windows. Window Screens can be made of metal or vinyl porous mesh fabric, which is stretched over frames and placed on the inside or outside of windows, so that air can come in and out of your home, but bugs and other pests cannot pass. Window Screens can be left in place all year-around in some climates, or they can be removed in the off-seasons to keep them from being damaged when not being used. Shown in the 'Routine Care' section are the recommended routine maintenance tasks for your window screens. The 'Q & A' section shows answers to common questions. And the 'Articles' section provides helpful articles about your window screens.